A 55-year old Utah woman has been given permission to sue herself for negligence following a road accident in which her husband died when she lost control of the car. Barbara Bagley the negligent driver is facing a wrongful death lawsuit brought by Barbara Bagley the widow and representative of her late husband’s estate. Permission to press ahead with the case has been granted by the Utah appeal court. As a widow, Ms Bagley is seeking damages to cover medical and funeral expenses along with compensation for the pain suffered by her husband, Bradley Vom Baur, who died 10 days after the December 2011 crash. The decision by the Utah appeal court means that Ms Bagley the widow will have to give evidence against herself as a negligent driver. She will also face cross examination by lawyers acting on her behalf as a motorist. Her husband was thrown from the car when it overturned after hitting a huge sagebrush bush as the couple drove across the Nevada desert. According to the writ – brought by Ms Bagley the widow – she was negligent in failing to keep control of the car. Reid Tateoka, who is acting on behalf of Ms Bagley in her capacity as a widow, said she has been forced to sue herself to receive money from her insurers. “The insurance company refused to pay out and said she was at fault. “It said it was prepared to pay for the car, but it would not take responsibility for her husband. She can only expect compensation if the court upholds her claim that she was a negligent driver, with the financial responsibility resting with her insurers. Lawyers acting on behalf of Ms Bagley the negligent driver have sought to have the case dismissed. Peter Christensen, who is representing Ms Bagley the motorist, said he expected her claim as widow to be dismissed. “If the jury finds that the plaintiff is 50% or more at fault for the accident and death, she is barred from recovery,” he said. Mr Tateoka, meanwhile, insisted that Ms Bagley was not going to profit out of her negligence as a driver even if she wins the case as a widow and heir. Baffled detectives in Oregon are searching for an entire home that has disappeared without a trace. Brazen thieves stole the 1,200 sq ft home from its foundation, police say, but thankfully the owners were not inside at the time. 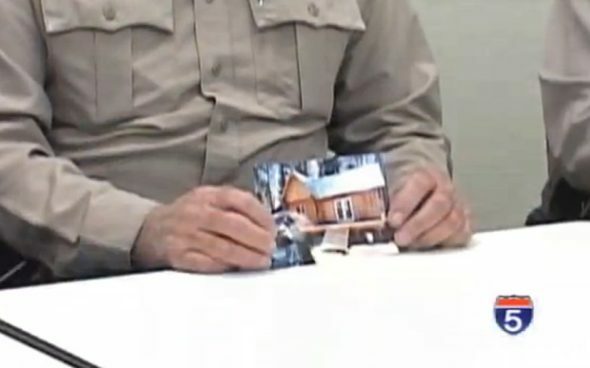 Desperate for leads in the bizarre case, Klamath County Sheriff Frank Skrah held up a photo of the missing home at a press conference appeal. “We had a complete home stolen. This isn’t a motor home, this isn’t a mobile home, this is a home,” he said. Oregon news channel KOBI 5 said the “house was reported missing” to police on February 24th. The property owners, who do not live there full time, have been informed. 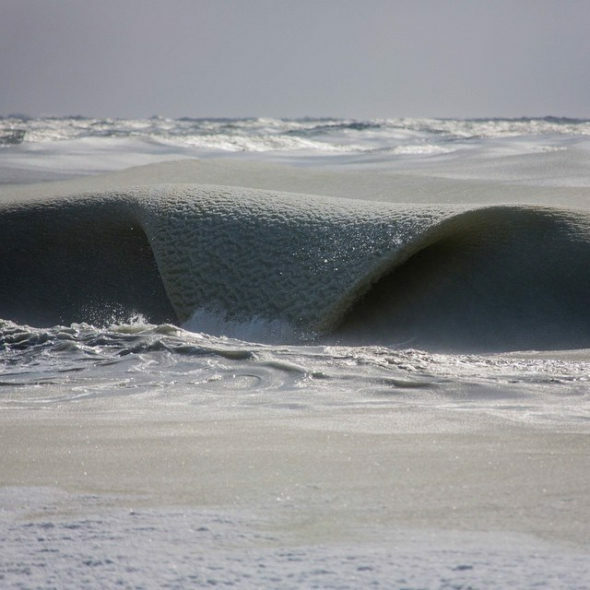 Jonathan Nimerfroh, who shared pictures of the “Slurpee Surf” on his Instagram and Twitter pages, said the horizon looked “strange” during his recent visit to the beach in Nantucket. From London’s Telegraph and United Press International (UPI).